I had a very unusual high school job: I poured beeswax candles at a Greek Orthodox convent! Although an unconventional (pun intended!) experience, I loved the quiet afternoons I spent at the convent. I deeply inhaled the thick, honey-fragranced air in pouring room as I meditatively poured golden, molten beeswax into the cups. Next, I gently placed a wick in each candle, meticulously nudging it into the center. Besides mastering the rare art of beeswax candle making, I also learned some important chemistry and health lessons from this job. Namely, the toxic effects of paraffin candles and the unique air-purifying properties of 100% beeswax candles. One woman told me that her granddaughter’s cat allergies interfered with visits to grandma, because of her cats. After learning about the convent’s candles, this woman burned two beeswax candles in the living room a couple of hours before her granddaughter arrived. Her granddaughter, while in the living room, experienced no allergic symptoms! They now practice this routine for comfortable visits each week. How do I get these beeswax candles? The Sisters sell their candles online here, at Quiet Light Candles. Their website also gives important tips about how to get the longest burn time from the candles. Another trustworthy brand of beeswax candles is Big Dipper Wax Works, which you can find in many health food stores. Do you recommend making your own beeswax candles? I do not recommend making beeswax candles from scratch, if you have no prior experience. The sisters spent 9 months figuring out the correct type of beeswax (it varies depending on wax season, pollen content, etc. 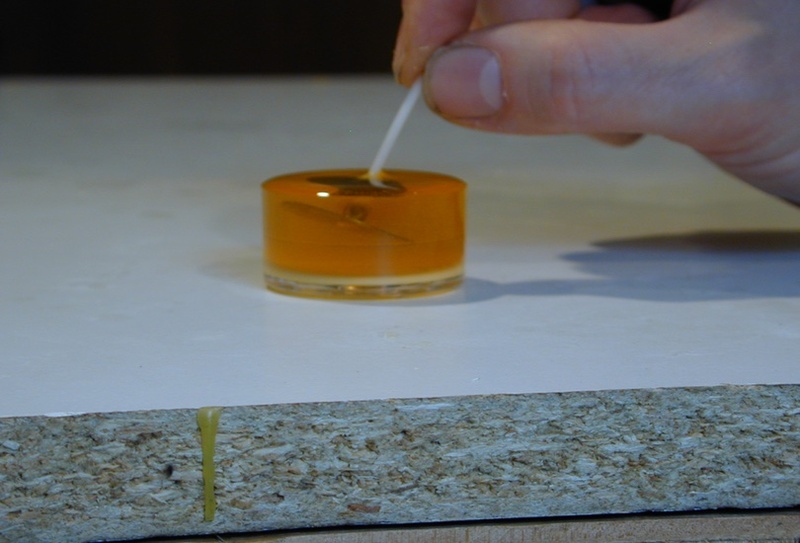 ), the correct temperature for pouring the wax (even 5 degrees makes a huge difference), the correct diameter for the candle, and the correct wick. And they are constantly perfecting all these variables. Making beeswax candles at home can be a fun project, but it is not as cost effective as buying the candles, since homemade ones will have a significantly reduced burn time. I’ve heard about lead in wicks. Is this true? If a candle has a metal wire in the wick, it may contain lead. Lead is banned from use, but many imported candles, especially from China, still contain lead. Burn only candles with 100% cotton wicks and avoid any with a wire center. If it has a wire center, it will put zinc and other metals into your air. I make beeswax candle’s and my 4oz candle’s have a burn time of 19hrs! 100% organic beeswax. Soy wax candles are a high-soot candle so even if they burn longer than partial-beeswax candles, they release particles into the surrounding air. I’m sitting here in front of a beeswax candle that I made myself with my own wax from my own bees. It’s a three inch diameter candle that is a foot tall. It’s been burning about six hours and has used only a couple ounces. So the idea that beeswax candles burn really fast is simply false. Candles burn based on wax type, wick type and size and other factors. This candle with a rather large wick leads me to believe that beeswax burns rather slowly. What Wick size are you using? What Wick size are you using?i am using 70% organic coconut wax and 30% beeswax. 3 inch diameter jar. 6oz and 12 oz and I and trying to find the correct Wick and pouring time. I was fine until I added the beeswax to slow the burning time down. Any suggestions? You’re part of the bureaucratic problem. This is for health and wellness, Bizzle. What did you use for a wick? Beeswax burns very long and clean! I make 15 hour votives of beeswax. Soy burns longer than paraffin but not pure beeswax https://www.etsy.com/shop/WonderBeeOrganics?ref=ss_profile Support beekeepers not Monsanto and deforestation! 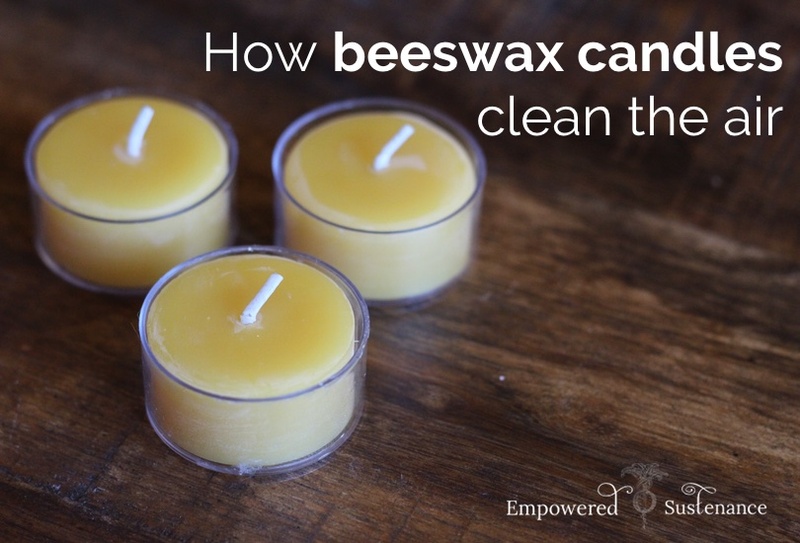 Please provide the scientific study that proves beeswax candles clean the air. Yes, beeswax candles are clean burning, and are probably the best candles for health and the environment, but there is no SCIENTIFIC PROOF that beeswax candles clean the air. Other beewax candle websites that make this claim do NOT qualify as scientific proof. Did you ever get the scientific study? This concerns me as well! Where’s the proof?! Scientifically prove that your parents love(d) you. Fewer particulates. Nothing about ions. I highly doubt the efficacy of this report’s findings. Not one beekeeper among them. Something that is given by nature as gifts to humans don’t require me to have scientific proof. I don’t need science to tell me when I’m burning a candle if its doing bad or good to me.. Release your senses and open your mind. It wouldn’t surprise me if Egyptians used beeswax candles to light up there place since their was hardly any windows in pyramids. I’m 34 and always been interested in candle making. When I was introduced to beeswax candles I knew this was something i needed to get into. I love delivering good products to customers with benefits and I’m sure the scientific researchers are not allowed to study this fine product. With all the paraffin left over from crude oil, why should they! Maybe it’s time we funded an institution to produce scientific studies to provide the knowledge some of us are needing. We should throw common sense out the window because we can’t simply makes sense out of mother nature VS big companies not knowing where to throw there waste. But the money sucking geniuses decided to sell it to us. You absolutely do need a science behind gifts from nature to humans. Mushrooms are a ‘gift’ but if we didn’t study the different kinds, there would be a lot more people getting poisoned by their risotto. If anything science is the study of nature, so yes, any claims made do require proof, and anecdotal evidence doesn’t count. Also, don’t equate scientist with big business, especially the oil industry, as this is a dangerous comparison. If anything, scientists are the ones trying to stop oil on the climate change area. Soooooo…..soy is an unhealthy burn and bees wax is healthy? Bees wax burns longer? Which hold a better scent flow? Where should I buy my bees wax. Thank you for details. I’m first time candle maker. I make my own Shabbat and Hanukkah candles from beeswax. As a beekeeper I had plenty of left over wax and extra unused pure 100 per cent beeswax foundation sheets for my frames for my supers .One day i decided to make rolled beeswax candles from the unused frame foundation . They work beautifully and are easy and fun to make, with a wonderful aroma and no mess at all. Why would you poison G-d’s creation with a base unKosher parafin candle? Bees, Honey and Bee’s wax are G-d’s gift to us.